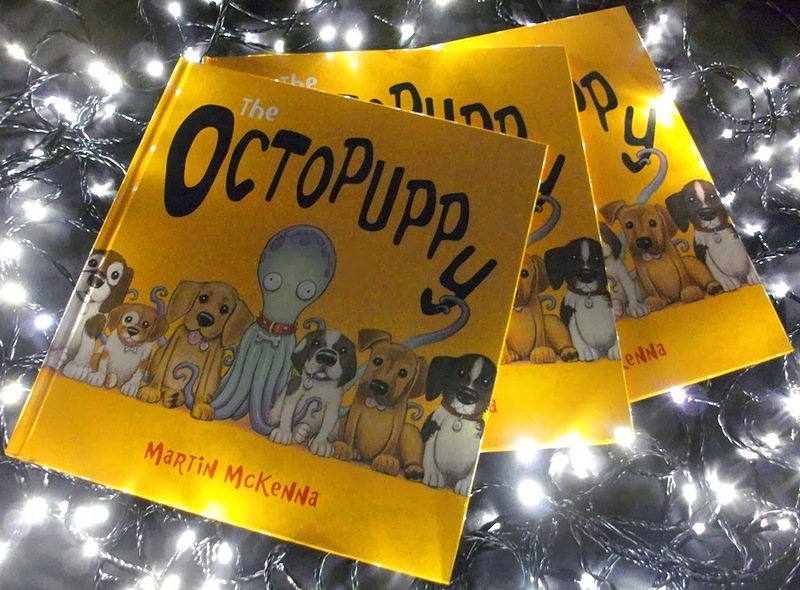 The Octopuppy: Last chance to win a copy of The Octopuppy! Last chance to win a copy of The Octopuppy! If you'd like the chance to win a signed hardback copy of The Octopuppy in the Goodreads giveaway, time is running out. You have until New Year's Eve to enter the giveaway - follow this link or click 'pon the 'Enter to win' button in the widget on the right. Don't forget to rub your lucky leg, or other good fortune-bringing body part if you have one, to facilitate hitting the jackpot. Please note that the dazzling state-of-the-art light display seen above utilizes extremely powerful, isotope-splitting copper-vapor lasers which I must return to the nuclear research facility, and so is not included in the giveaway.